My family owns a camp, a little cabin in the bush (woods) with a small wood-stove. It is like a second home. When we started using it again regularly this year, two years had passed since we had last visited it. I checked my journal and found out that the last time that we were there was September 22nd, 2013 and we had arrived on September 21st and stayed there overnight. The day that we finally visited again was September 21st, 2015, the day which, two years ago, had been the last night that we would spend there for a while. Of course, some of our relatives who also partly own the camp may have visited it during that time, but it didn't look like it had been used very much. We have been trying to use it more now. It feels good to go back there, where it is quiet and relaxing. Where we are surrounded by nature. Where there are less distractions. Where we are away from society, away from civilization. I could go on and on but the point is, it's peaceful there. When I am there, I am surrounded by nature and I am also surrounded by my family since we go there together. I also find that it is easier for me to concentrate on various activities like reading books and working on various projects. I like writing there and working on crafts like my loom knitting. There are so many distractions at my family's house and there are just so many things to be done there. At our camp, however, life is simple. There aren't a million things to do, only a few. That leaves time for working on other things. 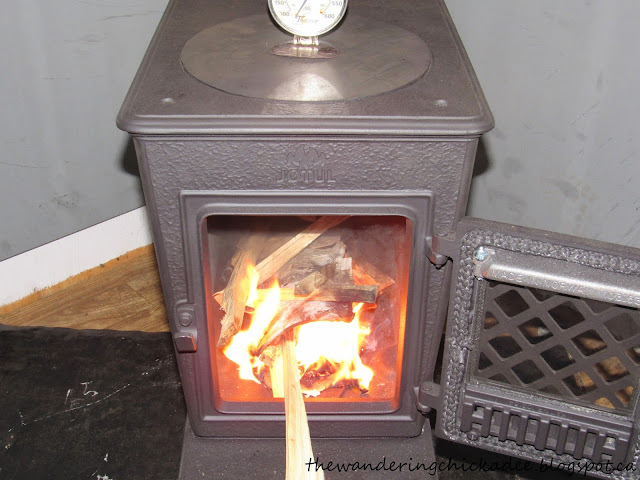 The quiet of the bush and the warmth of the wood-stove provide a great atmosphere. We sit quietly and read or work on whatever we like. In the mornings, we meditate, and on Saturday evening, we listen to Randy Bachman's Vinyl Tap on CBC Radio, a radio show where Randy Bachman shares songs that fall under a theme (a different theme is chosen for each show) and shares stories from his experience as a musician and his experiences meeting various other musicians. Of course, many experiences of mine remind me of songs or literature and my experiences of staying at my camp are no different. In William Butler Yeats' poem, "The Lake Isle Of Innisfree," he talks about going to Innisfree and he describes Innisfree and describes what he will do there. At one point in the poem, he says, "I shall have some peace there." For Yeats, Innisfree is where he finds peace. For me, my family's camp is where I find peace.